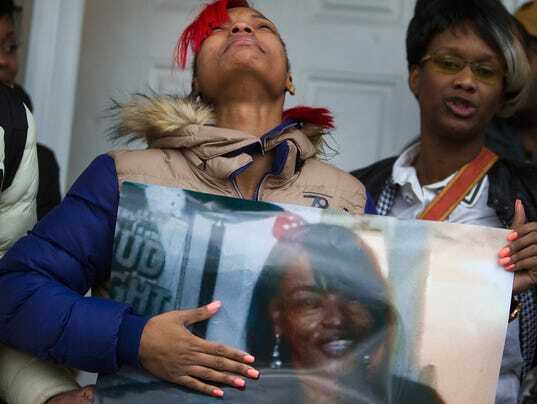 The city of Chicago has reached a tentative settlement to pay $16 million to the family of Bettie Jones, an innocent bystander killed in December 2015 by a Chicago cop who was responding to a violent disturbance by her neighbor, a senior city hall official tells USA TODAY. The city’s law department and attorneys for the Jones’ family have reached terms of the settlement, according to the city hall official, who was not authorized to comment on the settlement and asked not to be identified. The agreement, which is expected to soon be made public by the city’s law department, requires final approval from City Council members before it can be paid out. Bettie Jones was fatally shot along with her upstairs neighbor, 19-year-old neighbor Quintonio LeGrier, not long after she opened the door to her building for a Chicago cop. The officer was responding to a domestic disturbance in LeGrier’s family home. The shooting of Jones and LeGrier came weeks after the city of Chicago was forced by court order to release police video footage in the high-profile shooting death of Laquan McDonald, whose killing spurred weeks of protest in the city. Police said LeGrier was wielding a baseball bat and was “combative” when police arrived. Jones, 55, who lived in another apartment in the multi-unit building, had opened the door for responding officers and was struck by gunfire from officer Robert Rialmo as she headed back into her apartment. The settlement comes as Chicago gears up for two criminal trials in the fatal shooting of McDonald, a 17-year-old who was shot 16 times as he appeared to be veering away from police in a 2014 incident. Three officers — Detective David March and patrol officers Joseph Walsh and Thomas Gaffney — are scheduled to face trial next month on state charges of conspiracy, obstruction of justice and misconduct for allegedly trying to conceal facts about the shooting. The officer who fired the 16 shots, Jason Van Dyke, is to go on trial for first-degree murder charges, according to Judge Vince Gaughan, who is overseeing the case. The settlement adds to the more than $500 million that Chicago has paid out to settle lawsuits over allegations of police misconduct in the last decade.